Since many men are diagnosed with early-stage prostate cancer, often, they must choose between a risky surgical intervention, no treatment at all, or simply monitoring the disease. Among the many treatment options available HIFU falls somewhere in the middle. HIFU, which stands for high intensity focused ultrasound, offers a less invasive, lower risk method of eliminating the prostate in the body with fewer complications. Physicians can target and treat small amounts of tissue, minimizing damage to nerves around the prostate responsible for preserving potency. HIFU, which stand for high intensity focused ultrasound, is the focusing of sound waves to create heat at a specific point; this is called the focal point. HIFU is used to heat and destroy targeted tissue during an outpatient procedure; individually customized for each patient’s prostate cancer treatment. The most advanced and state-of-the-art medical device, that utilizes HIFU to ablate prostate tissue, is the Sonablate; manufactured by SonaCare Medical. 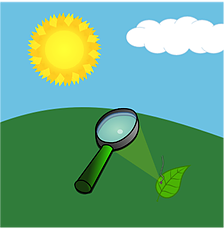 Think about how a magnifying glass focuses light rays from the sun to a particular point and can burn a hole in a leaf. HIFU works the same way; there is a transducer, which focuses sound waves to a particular point, creates heat and destroys tissue at that point; nothing outside of the focal point is damaged. If you decide to choose Sonablate HIFU you will receive pre-operative instructions from a physician and nurse. The HIFU procedure typically lasts between 1-4 hours, depending on the size of the prostate, and is either done under general anesthesia or an epidural and IV sedation. During the procedure a suprapubic catheter will be put into place to help with urination, and will typically stay in place for 1-3 weeks. After the HIFU treatment, patients will be in recovery for about 2-4 hours. Once released from the treatment center, patients return home or to a hotel to recover more comfortably. Though, it is recommended that patients take things easy, most patients feel well enough to go out for dinner and maybe even a walk, the night after of the procedure. For more information read our frequently asked questions or contact a HIFU Nurse Educator. HIFU research began in the 1950s in Indianapolis, IN. Over the years HIFU has evolved to the applications we have today which include treating various types of cancer and diseases, including prostate cancer. Over 13,000 prostate patients have been treated with Sonablate HIFU. There are more than 50 countries where HIFU has regulatory authorization.